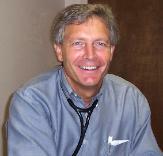 John F. Wade, MD, FCCP, FAASM. Pensacola, FL, 8/99 – Present. Children:Jacobi Wade, JD.Graham Wade, BS.Elle Wade. Fellowship: Univ. of Colorado Health Sciences Center. Resident: Univ. of Colorado Health Sciences Center. Education:M.D., UAB School of Medicine, 1986. Board Certification:Diplomate, National Board of Medical Examiners, 1987. Diplomate, American Board of Internal Medicine, 1989. Diplomate, ABIM, Pulmonary Medicine, 1992, 2002. Diplomate, ABIM, Critical Care Medicine, 1993, 2003. Diplomate, American Board of Sleep Medicine, 1998. Professional Association:Fellow:American College of Chest Physicians. Fellow:American Academy of Sleep Medicine.